While interacting with clients on a day-to-day basis, we here at LyntonWeb hear some curious phrases, expressions and explanations thrown around, prompting us to wonder where they're heard and what they mean to people. So, as you can see, phrases related to online design, development and marketing are broad and have particular meanings based on a client's previous knowledge, background, industry and so on. What could be a full-scale project to some could seem relatively simple to others. What is this mysterious SEO? Honestly, these are all explanations I've heard for SEO. Those involved in marketing have one explanation for SEO, while those involved in sales have another. Clients involved wholly in management believe in one explanation, and a client with a background in engineering has another. The truth is that all of those explanations are somewhat accurate (except the last one - that's just plain funny). Outside of adding tags and researching keywords, what else is usually involved in SEO? How can you find out how well your site's doing in the world of SEO? Search engine optimization is a beautiful ballet of research, algorithms, keyword implementation, link building and on-page optimization that if performed correctly can catapult your website to the heralded top of the search engine world. OK, that may be a little melodramatic, but you get my point. Simply put, search engine optimization is trying to improve the visibility of your website within a search engine completely organically (meaning changes are made to your website and do not include paid advertising). What are some of the particulars in helping to acheive the goal of higher visibility? Let's look. Like any other marketing- or sales-related initiative, it's imperative to have a good plan in place. What do you want to accomplish with your website, and how can solid search engine optimization help to achieve that goal? A good strategy includes looking at the keywords that best represent your site, building pages around those keywords and having a sound link-building plan in place. We'll discuss more of that later. 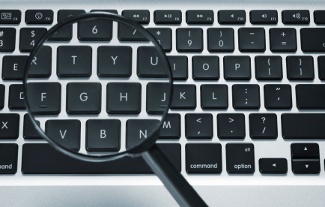 For researching keywords, the Google AdWords keyword tool is a great resource. Sure, having great keywords is part of the SEO solution. But how do you use those keywords? You've probably heard that you must always adjust meta tags. Well, what exactly are those? What else should you be looking to modify for great on-page optimization? Meta titles - at this point, search engines such as Google place quite a bit of relevance on how your title tags operate. A title tag describes the page on your site. If you're in Interent Explorer, it's the text that appears prior to "Internet Explorer" at the very top left of the browser. Title tags can't be too long, can't be full of marketing jargon and can't be too spammy. Search engines are particular. Meta keywords - not as important as title tags, but still necessary. A meta keyword is a short list of the most important keywords that describe your page. Meta description - while not really as important as meta titles and keywords, the meta description tag is important because it will influence if someone will actually click on your link within a search engine. The meta description is a brief summary of what the viewer can expect to find on the particular page they're searching for. While those are some of the major factors in on-page optimization, there are so many more that can be addressed in solid SEO - header tags, bolding, lists, htaccess, robots.txt files, keyword placement, etc., can all have a profound impact on your keyword and page ranking. Also known as link building, this is the act where, when a search term or site is queried, a search engine will check relevancy of the site/search term by viewing how many other sites link to that particular term. For example, if you search for "chicken soup" in a search engine, the search engine performs many actions at once to determine who should be at the top of the ranking for "chicken soup." The on-page optimization is important, but the link building will provide those sites that vouch for who should be at the top of the list. If you have a page dedicated to chicken soup, and there are hundreds or even thousands of sites out there that link to your page on chicken soup, you have some serious credibility, which factors into the search engine's decision on how high you should be ranked. You simply can't wait for good links to come to you. You have to be proactive! The link we made earlier to the Google AdWords keyword tool will only further enhance it's relevancy in the world of search engines when someone searches for "SEO keyword tool." You can view some of your inbound links by using this free tool. Unfortunately, there's no way to predict how well even the best-planned SEO projects can do, although taking action with the aforementioned items will greatly boost your keyword and site optimization. Search engines are constantly changing the way they interpret data, so it takes reseach and a high level or proactiveness to keep with the curve. This is a light, brief overview on what SEO actually means and what's involved. I'm sure you have questions, and we'd love to answer them! Drop us a line, and good luck out there!